Conservative activist Ed Hall wrote a piece on Conservative Home over the weekend where he sets out why he thinks First Past the Post is a simple, comprehensible and fair electoral system. Fair enough. He is entitled to his opinion and it is clearly genuinely held. However I do wonder why so many people within the No camp seem to make so many factual mistakes when making their case. 1) "If you have a 'normal' constituency election with three or four mainstream parties, two or three genuine local campaigners, a couple of extreme parties from either side, and a Loony candidate, then the ballot paper lists them all and the voters will have to list them in preference. I have to say I am not sure precisely in which order I should rank the Vote Muesli candidate and the True Love Party candidate, but issues such as that will start to trouble us if the referendum goes in favour of AV." No you won't Ed. The AV system that will brought in if there is a yes vote is one where it is optional to list all your preferences. You could if you wish just put a "1" next to your most favoured candidate and leave it at that. You are not forced to vote for more than one person. You can even put an X next to them if you like. There is provision in the bill for this to count as a "1" (and as anyone who has attended counts knows even without specific legislation, returning officers would use their discretion to count this anyway). So this point is utterly, factually wrong. Perhaps Ed is confusing us with Australia where they are made to rank all candidates. We will absolutely not be. 2) "In modern politics, a winner should be a winner. Try it round your dinner table or next time you watch the X Factor or Strictly Come Dancing. Everyone votes for their favourite book, film or act: surely the candidate with the most votes wins? How would the BBC or ITV possibly explain or justify a programme format with public voting in which the candidate that got the most votes did not win?" This is such a bizarre comment. X Factor and Strictly both use run-off voting systems where week by week candidates are eliminated. It is mathematically far closer to AV (which in some countries is called "instant run-off voting") than FPTP. If these programmes used FPTP the winner would be decided in week one and could win with perhaps only 15% of the vote. I wonder how many viewers would consider that fair. "Of course you do get to vote again in the TV formats as the candidates are knocked out, and the next week's programme starts..."
3) ...but do we really want General Elections every week until we get a winner? That would be the only way to give equal weight to everybody’s second choice votes. No Ed, it's not the only way. The sensible way to achieve this is to give the public the AV system! It allows us to emulate knock-out voting rounds without people having to go down to the polling booth several times. Because each ballot paper can be carried through each round with the second, third etc. choices being used as and when necessary. So multi-round voting is not the only way to give equal weight to second (and third etc.) choice votes. AV does it already! I have heard the argument from numerous people in the No2AV camp that AV is "nothing like" knock-out round by round voting. The only difference I can see is in the point at which people cast the votes. Admittedly it is possible that some people's further choices might have changed had they known who was still going to be in (but it is highly debatable how many would change their choices - I suspect a very small minority) and so it is not identical but it is far, far closer to AV than FPTP is. And as Ed himself acknowledges making people go down again and again to the polling station for the same election is not feasible so AV is a good way of achieving a very similar end through slightly altered means. There are arguments for and against AV that deserve to be properly debated. For example I was asked an interesting question from Labour activist Emma Burnell (who blogs at Scarlet Standard) at the weekend where she questioned about whether candidates under AV might all start to converge on the centre ground or "mushy middle" as she termed it over time. A good question worth debating. But I keep coming up against false arguments like those listed from Ed Hall above from No2AVers again and again. It makes me wonder if some of them even understand what they are arguing against. PS: Sunder Katwala has written an excellent post here on Next Left skewering Ed Hall's claims about X-Factor type shows and AV/FPTP in far more detail than I have time for! Iain Dale wrote a piece for the Mail on Sunday yesterday entitled "Nothing to do with us, Guv - It's those wicked Tories!" in which he claims that some Lib Dems in government are essentially trying to have their cake and eat it by being in power but trying to shirk responsibility for the unpopular decisions. ...too many (Lib Dems in government) seem to believe they can cherrypick the government decisions they can bring themselves to support. Their attitude to the coalition’s more unpopular policies seems to be “nothing to do with us, guv, it’s those wicked Tories.” Collective responsibility doesn’t work like that. That’s why David Cameron was happy to accede to Nick Clegg’s request for a LibDem minister in almost every government department. He knew it would bind them in, with no get out of jail free card. All political parties are coalitions within themselves. No politician can ever agree with 100% of what their own political party does. But the LibDems have taken wearing their hearts on their sleeves to new extremes as they try to salve their collective consciences. And some of their major figures, who showed so much promise in opposition have struggled with real power and real responsibility. There is a big problem with that though. Accepting full collective responsibility for decisions that a Lib Dem government ruling alone would not have taken is essentially misrepresenting what the party is about and making them look a lot more right wing than they actually are. This is a problem for the Tories in government too the other way round but less of a problem for them for two reasons. Firstly they have not had to make as many compromises as the Lib Dems as they have much greater parliamentary strength. And most importantly, secondly, compromising with the Lib Dems brings the Tories more onto the centre ground which is where David Cameron wants to pitch his tent anyway (like his political idol Tony Blair (or "The Master" as Cameroons refer to him) was so adept at doing) and which is to their electoral advantage. It is very much not to the Lib Dems electoral advantage to be seen as more right wing than they are. The problem for Nick Clegg is that it will be difficult for him to differentiate himself from the Conservatives at the next election. That is the exact point I am making too! So Iain seems to recognise that the party needs to differentiate itself from the Tories somehow and yet castigates Lib Dems who try to maintain their distinctiveness. It is the classic dichotomy that minor coalition partners face. We need to find a way to square the circle. There are no easy answers but the longer we are unable to, the harder it will be to convince the public that we can both govern responsibly and at the same time still stand for something distinctive. 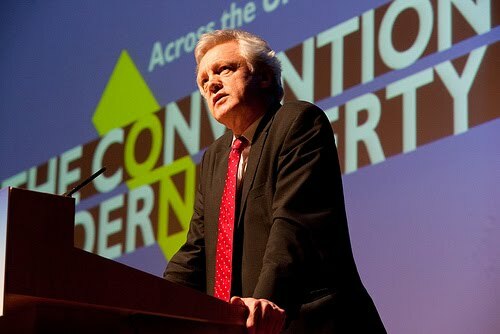 Why did I trust David Davis on liberty? Two years ago I attended a day long event in London called "The Convention on Modern Liberty". It was bustling with activists and politicians from various parties and had a number of interesting debates in the main hall and in fringe meetings. The theme was civil and other liberties and one of the leading lights of the event was Conservative MP David Davis. He had become something of a darling of the liberty movement following his resignation from the Shadow Cabinet and forcing of a by-election on the issue of detention without trial and liberty more generally. Indeed such was his high profile that he gave the closing speech of the event. I remember it well. It was littered with calls to arms for those of us who strongly believe in liberty and freedom in this country. There was a particularly memorable passage where he castigated the then Justice minister Jack Straw for his authoritarian stance on issues such as ID cards. So it was particularly disappointing in the last few days to see him joining forces with Straw to lead a parliamentary campaign to deny the rights of any prisoners to have the vote. For me, the issue of votes for prisoners and someone's reaction to this is indicative of how liberal or authoritarian and reactionary they are. It is not an easy issue. The tabloid press have a very clear view on this issue and are on a hair trigger ready to publish headlines like "MP WANTS MURDERERS TO HAVE THE VOTE". Local opposition parties to MPs will also be hovering over the leaflet software with similar headlines. And of course public opinion in this country is quite strongly against such an idea at the moment. We’ll have to fight the principle of expedience every time. It sounds easy does it not? Actually sometimes you will find you are on the unpopular side. I repeat ID cards, 42 days, control orders, DNA databases, all popular when they started. But we won the arguments. You won the arguments and we have to win those arguments time and again over and over. Lincoln once said ‘to sin by silence when they should protest makes cowards of men’. This is not going to be easy: it is not going to be straightforward . We are all here with people who agree with us: they don’t all agree with us out there. It is not matter if the case is difficult. If the argument is unpopular and if your opponent is intimidating we have to fight it time and again. He was right. The causes of liberty are often unpopular. I'm sure I will get a fair bit of stick for having published this blog post for example. However I didn't think when I heard David Davis utter those words that within two years he would be one of the "intimidating opponents" that those who value liberty are going to keep having to fight "time and again". I think the thing that annoys me the most about the vote in the Commons yesterday (which passed by 232 votes to 22, a crushing margin) is how blunt it is. No prisoners, under any circumstances should have the vote. Ever. Before anyone starts asking me if I want Ian Huntley to have the vote, or others murderers, paedophiles, or rapists the answer is no. I do not agree with giving all prisoners the vote whatever the circumstances. I do however think part of the reintegration into society of those who are in prison under some circumstances should include being able to cast a ballot. I think it would help some feel more like a citizen of the country and help with their rehabilitation. We should bear in mind that the prison population is made up predominantly of the most marginalised in society. Should we really be taking the vote away from people who have committed minor offences? They have already lost their freedom and are banged up for 23 hours a day. Winston Churchill once famously wrote that you can judge a country by how it treats its prisoners. Well in this case, 100 years on from when he wrote that our parliament with a crushing majority has decided to keep all prisoners disenfranchised under any and all circumstances. And one of the main cheerleaders for this has been David Davis. The former Conservative darling of the liberty circuit, lauded by Shami Chakrabarti and feted as a voice of reason on this from the right. No more. Having joined forces with his erstwhile authoritarian enemy he has shown his true colours when it really counts on an issue that divides those with true liberal credentials from those who are just play-acting. It is now clear which camp Mr Davis falls into. Morus has a fascinating post on Political Betting today where he highlights a rather obscure feature of the AV referendum legislation which is that Nick Clegg, who is responsible for the bill and its implementation is actually more empowered by the 40% threshold clause. It means that he can make a judgement call about whether the turnout justifies the change. The 40% threshold is not binding. Of course if the turnout is very low and the victory is small, with the threshold amendment in place it may be politically very difficult to put the change through. However I can well imagine were the amendment to stand that because the No camp would then have a real incentive to dampen down turnout that we could well find a large majority for change albeit on a turnout below 40%. Let's hypothesise that the turnout is 32% (a good few points below the 40% threshold) but that the figures are 65% for and 35% against. Were the threshold to stand, an outcome like that would be very possible because of how the voting dynamics could be affected. However if you then look at what the actual percentages of those voting yes would be compared to the voting register it would actually be 65%*0.32=20.8%. In other words more than enough to have won the referendum even if the final 8% of abstentions that would have taken us up to the 40% threshold had all voted no. Under circumstances like that I would expect implementing the change would be widely seen as democratically and morally correct. Of course this is all speculation and the most likely scenario is that the amendment will be overturned and no threshold will apply. That is basically what David Cameron said would happen at yesterday's PMQs. But there is another twist here. Because the 40% threshold has had so much publicity over the last few days even if/when it is overturned there will be some people who will not be aware of that fact and will still think it applies. Therefore some who were planning to actively vote "no" may well be tempted to sit on their hands assuming an abstention is tantamount to voting "no" or at the very least is a help to the cause. They will be wrong about this and will in fact be helping the "yes" camp. At the same time, of those who were planning to vote yes, if any mistakenly think the threshold applies the incentive will work in the opposite direction and they will be more inclined to vote! And with things so tight, that could make all the difference. It could be that the 40% amendment tactic by the Lords, even if it doesn't actually make it onto the statute books is the thing that helps this referendum to pass. Wouldn't that be an irony? The news reported yesterday that apparently Ed Miliband is indicating he does not want to share a platform with Nick Clegg in the AV referendum campaign, despite the fact that they will be campaigning for the same side has caused a bit of a stir. Some of my fellow Lib Dems seem a bit put out. As far as I am concerned though this is fair enough. The Lib Dems are below 10% in some polls. Miliband's suggestion that Nick Clegg is politically "toxic" is taking it a bit far but equally he is hardly flavour of the month either. I suspect there is a fair bit of truth in the concern that sharing a platform with Clegg would make some wavering Labour supporters tip into the no camp. At the same time part of Miliband's motivation could be to try and damage Clegg a bit more. I would be surprised if that had not formed part of the behind the scenes strategy. That's politics though and it was ever thus. It doesn't mean he is wrong to distance himself from Clegg if he wants to maximise the Labour "Yes" vote. What I want to see is a "Yes" vote on AV in May. If Miliband's actions help with this cause, which I suspect they will then we should let him get on with it, his own way. 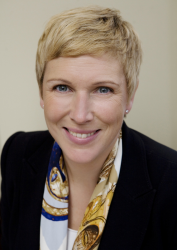 Recently I have had a number of Twitter debates about the AV referendum with Charlotte Vere (@CharlotteV), the Finance Director of the No2AV campaign. They have usually consisted largely of her claiming that nobody really wants AV and me pointing out that most reformers, and certainly all of those backing Yes2AV genuinely think AV is an improvement over First Past The Post. However yesterday the discussion took a turn for the interesting. I realised that Charlotte was the Conservative candidate in Brighton Pavilion in the general election last year. What makes this pertinent is the fact that the Conservatives ran what they called an "open primary" in that constituency to choose the candidate (it was actually more like an open caucus as the voters had to attend a meeting but it was still an open process with any voter from the constituency able to attend). And in this selection process, they used, wait for it, a "run off" system. The way it worked is that there were 6 candidates and the voters chose the one they wanted in the first round. The lowest placed candidate was then eliminated and the voters then voted again for one of the remaining 5 candidates. Then the lowest placed was eliminated and the 4 remaining candidates were voted on etc. etc. until we ended up with two candidates and ultimately one winner. Sound familiar? It sounds remarkably like the Alternative Vote to me. The only real difference with the run off system is that the voters vote in multiple rounds. With AV all the rounds are combined into one ballot with all the preferences (1st, 2nd, 3rd etc.) listed at the start of the process. I really cannot see a fundamental difference between the systems. They both allow the voters to choose 1st, 2nd, 3rd etc. preferences to ensure that their views can influence the final round of voting. From this report in the Brighton Argus it would appear that the vote during the Brighton open process was quite close. Two of the lower placed candidates were eliminated simultaneously and there were audible gasps when one of the lower placed candidates went out suggesting there was significant support for them. We do not know the exact numbers as the totals from each round were kept secret but I think it is fair to say from the way the voting went to the final round that no single candidate had a big lead throughout the process. Therefore there is a significant chance that if instead the winner had been chosen at the end of the first round of voting which is what happens under First Past the Post, Charlotte may well not have won at all and the candidate could have been someone different. Ironically had that happened, her profile would not have been so raised and she may not have been chosen as the finance director of the very organisation that seeks to deny the electorate a very similar preferential process for Westminster elections! Charlotte herself claims that different elections require different systems but when I pressed her on the specific reasons as to why an open primary type vote and a constituency election should use such differing systems she did not respond. To be fair, she may have been pressed for time and of course Twitter is not the ideal medium for lengthy explanations so Charlotte is quite welcome to use the comments below this post to respond. I hope she does as I am genuinely interested to know what her reasoning is on this. Whatever the response is though I think it is fair to say that Charlotte Vere, such a vocal opponent of a preferential voting system for Westminster is actually pragmatic enough to recognise that such a system has real strengths. Which suggests to me that in reality she is fully aware of the benefits of such a system having been the beneficiary of it herself just over a year ago. I am basing this on the fact that as far as I can tell she has not decried the system used to select her and her opposition to preferential systems was certainly not strong enough for her to refuse to participate in the selection process. So why do the Conservative party more generally so vociferously oppose a preferential system for Westminster whilst simultaneously using a preferential system for their own open selection contests? I suspect it is down to the dynamics of the two processes. In the case of an open selection, what they are trying to do is select a candidate with the broadest appeal. After all they want that candidate to ultimately win the subsequent election. Therefore if they were to use FPTP for the selection there is a real risk that the candidate selected would appeal to a minority of the electorate in the constituency but a majority of that same electorate would not want to vote for them. By using a preferential system for the selection they try to ensure that their candidate has broad appeal. Or at least the most broad appeal of the 6 or so candidates they put up. It is a good indication that they are likely to be fairly popular. However when it comes to the election within the constituency, they think the best way to ensure a win is to use First Past the Post. And in a good year for the Conservatives they are correct. Last year they won just over 47% of the seats on 36% of the vote. A significant number of their MPs did not get at least 50% of the votes cast. Which means a majority of the voters in the seats of many of their MPs did not vote for them. I of course understand that political parties want to win seats and the Lib Dems are often accused of wanting to change the electoral system to suit them. I think the big difference is one of consistency. The Lib Dems always advocate preferential systems. We use AV for our internal committee and leadership elections and ultimately want STV* for all other elections, both local and national. Whereas the Conservative Party seem to want to have their cake and to simultaneously eat it. They choose a preferential system where it suits them in open selections and strongly oppose it where they think it would not benefit them for Westminster elections. Which suggests to me that deep down they are not opposed in principle to preferential voting. Only when they think it will not help them. If one of the leading lights of the No campaign is ambivalent about the benefits of preferential systems, which also reflects the inconsistent view of her party does this not undermine the credibility of the Conservative opposition to a change? *STV is AV with multi member constituencies. UPDATE: After a further Twitter chat with Charlotte she has declined to come onto the blog to give her side. She claims that this post is a "ridiculous personal attack" which makes me look stupid. I of course disagree! She also claims that AV and runoff in rounds are different systems and that AV is not suitable for national elections. I am still none the wiser as to how she justifies the use of a preferential system for a selection and yet fervently opposes a similar (albeit not identical granted) system for a constituency election. And it looks like I will remain none the wiser as she is not going to explain. Which I think is a pity. The Labour Party could be largely gone within the next generation. I realise this is quite a provocative statement and I am fully aware that with the current state of the opinion polls there will be plenty who would contend that my own party, the Lib Dems are more likely to disappear before Labour. I should also point out before I start that I do not want the Labour Party to die. I was brought up in a family that had great respect for the party and its socialist foundings and tradition. If I had joined a political party before about 2000 it would almost certainly have been Labour. I was delighted and genuinely excited in 1997 when Tony Blair won a huge landslide and I think that the Labour government did some very good things in its early years. The minimum wage amongst others for example was a great change and the fact that all the major parties are now signed up to it has ultimately vindicated it. Also, if the economy tanks in the next two or three years then Labour will very likely get in by default. I accept that is the case and what follows is predicated on the assumption that the economy does improve and the coalition's policies are ultimately seen as successful. What then for Labour? If that happens then I think that within the next couple of decades we could see the demise as a serious political force of the party of Keir Hardie and Nye Bevan. There are a number of reasons why I think this could be the case. Firstly, despite some recent signs that they are moving in the right direction the party leadership still has too much sway over policy making. This may seem like an arcane point but policy making is the lifeblood of political activists. Without it participation in political parties is reduced to trying to sell policies largely imposed from on high. Of course some of these policies, perhaps many will accord with the views of the membership. But there will always be some that just do not. A good example would be the 10p tax rate being abolished by Gordon Brown in 2007. Eventually that move was mitigated by a number of measures to appease Labour back-benchers but it was immensely damaging and I can imagine how difficult it was for Labour activists trying to convince people to vote for the party when it was an active issue knowing there was no way in hell the party at large would have allowed the leadership to adopt such a policy had they had a veto on it. I know from discussions that many Labour activists are unhappy with how little chance they have to influence policy within the party and some look with some envy upon how the Lib Dems and other smaller parties are more internally democratic. The longer this goes on, the more in the long term I am convinced that the party membership will atrophy and wane. After all, I am sure there will be some who will decide it is not worth their time volunteering if their views will make little difference to the policies. A quick aside here - I know that some of the policies being pursued by the current government were not endorsed by the Lib Dem party membership but there are a good number that were and that is the compromise of coalition. If the Lib Dems had had a majority like Labour did between 1997 and 2010 then the government programme would have been essentially created and decided by the party. Secondly, the Labour party does not seem to know what it stands for any more. I think it has been very instructive to observe the manoeuvrings of various senior Labour politicians since the general election. It is clear that there are deep divisions on questions such as how to tackle the deficit (Ed Balls and Alistair Darling were at loggerheads over this) or tuition fees with Alan Johnson being set against a graduate tax only to come round at the last minute to Ed Miliband's way of thinking but with no real enthusiasm. When this is coupled with the two year review that is going on at the moment which is scheduled to fill in Ed M's "blank sheet of paper" it does feel like the party has somewhat lost its way. Don't get me wrong, it is a good idea for political parties when rejected by the electorate to take stock but to see a party that once held such a clear vision for the future and founded the modern welfare state to be so directionless is quite sad and does not bode well for its future. The third reason I think Labour could well find themselves waning as a political force is down to their innate tribalism. Now I have been misunderstood when I have used this word before so I will try to be precise here. I am referring to the tendency for Labour politicians and activists to push their own party line to the exclusion of everything else and to rubbish those of their opponents, even to the point where had their own party introduced a measure they would be supporting it but because it comes from somewhere else they are suddenly apparently viscerally opposed to it. I know all political parties do this but from what I have observed Labour are the worst at this. And it matters. A recent report by the IPPR reinforces other things I have read that even if First Past the Post is retained for Commons elections, hung parliaments are going to become more and more likely. But the way Labour acted in the coalition negotiations back in May 2010 (which I have gleaned from multiple sources) reflected this more tribal attitude and made it clear that they would have been very difficult to work with, even if you put the mathematics to one side. If coalitions are going to become more and more frequent then a party that seems unwilling to compromise is going to find it difficult to get back into power. I am basing this also on my observations of how they have gone about attacking the coalition. There is no recognition of the compromises necessary, just blindly attacking the Lib Dems for "selling out" or "betraying" people. Now I am aware that as a Lib Dem activist I am biased here and maybe the public at large like this sort of thing but I hope that is not the case. It feels outdated to me and smacks of a party that is still mired in a binary way of approaching politics that again does not auger well for them. My final reason (I will stop in a minute!) is a bit more subtle but perhaps the most important one of all. An important part of Labour's parliamentary strength in recent decades has been how its core support has been concentrated more in heavily populated and predominantly northern areas. But a day of reckoning on this was always going to come. The fact that they were able to get 55% of the seats on 36% of the vote in 2005 may have been blithely brushed aside at the time but there was always going to be an adjustment to mitigate this inequity at some point. And with the boundary changes likely in the next few years to equalise constituency sizes this reckoning is almost upon us. Now as far as I am concerned this is the right thing to do. I think a proportional system would be ideal in terms of fairness but whatever system we have, the constituency sizes should be as equal as possible. That is also fair. But a consequence of this will be that Labour will find it harder to retain and win seats that it previously would have taken for granted. Over time this will erode its base unless it broadens its appeal. It will also reduce the "my father, grandfather and great-grandfather voted Labour" enclaves as those voters will be diluted with others often from more suburban or rural areas. All this is doing is evening things up but the effect for Labour will likely be to make their job harder. 1) Give the party members back their absolute right to make and veto policy. I know this caused the party damage in the past especially in the 1980s but the pendulum has swung too far the other way. If activists are going to slog their guts out in the cold and wet month after month, year after year to put the MPs into parliament the least they can expect is to be able to collectively decide the policies. It would be a bold move but the activists would love Ed Miliband if he did this and I suspect his leadership would be secure for many years. After all they are the ones who can keep him in his job were he ever to be challenged. 2) This is probably related to number 1 but a clearer statement of principles and direction of travel is needed. Labour used to know what it stood for but there seems to be a muddle at the moment. If 1 was implemented then the guiding principles would bubble up from and be reinforced by the party membership. That in itself would send a very powerful and democratic signal. In the absence of that though for now the public need to know what they would be getting from the Labour party. This may mean being very frank about some of the big mistakes the party made in government in its latter years but so be it. 3) The party leadership should do everything it can to ensure a "Yes" vote for AV in the referendum in May. The one person most likely to make the difference between and Yes and No vote is Ed Miliband. And if the referendum passes then Labour will be encouraged to engage more with other parties (partly to try and get second and third preferences) and over time to not be so tribal. 4) They should reform their leadership election system so it is one Labour party member, one vote. No longer should MPs have more say than anyone else and the third/third/third split between the three parts of the electoral college (MPs/members/unions) should be abolished. It would be brave for Ed Miliband to do this given he was elected under the existing system (and may well not have been under a reformed one) but it has to happen before the next leadership election. I know the polls currently have Labour in a strong position but Labour also seemed well placed in the early 80s and it took them nearly two decades to get back into power from that point, and only after lots of painful soul searching and reform. I suspect something similar will need to happen again before they are serious contenders for government. The question is how quick the current leadership are to grasp the various necessary nettles.